The unstable weather continues, but we got as much out of today as possible. Playback on Garden Warbler and Barred Warbler through the night, and the northern half of the nets in the trapping area (around the speakers) open 06.30-09.30. 8 walk-in traps 10-15 at Revtangen, we finshed off just before the rain set inn. 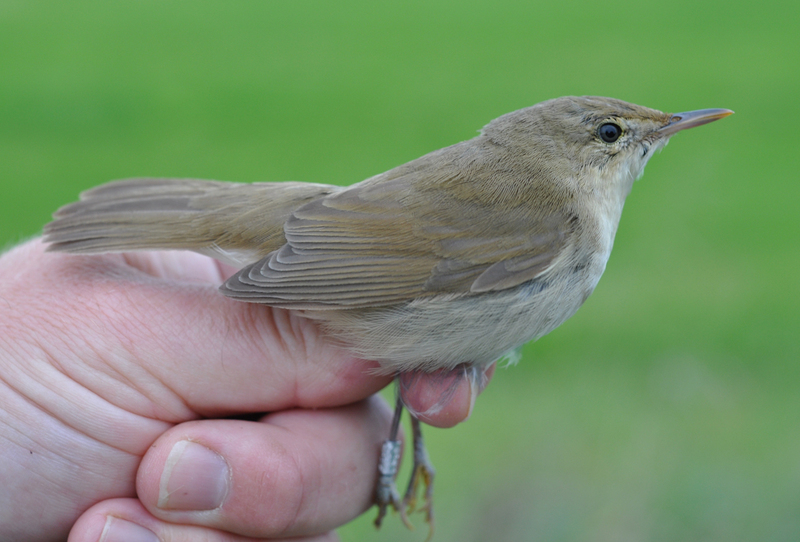 The 2nd Blyth's Reed Warbler of the autumn was ringed today. Ringed: Dunlin 88, Curlew Sandpiper 1, Sanderling 8, Red Knot 7, Turnstone 1, Ruff 1, Common Ringed Plover 1, Bar-tailed Godwit 11, Barn Swallow 1, European Robin 4, BLYTH'S REED WARBLER 1, Garden Warbler 16, Blackcap 17, Chiffchaff 2, Common Starling 2, Brambling 1, Greenfinch 4. Total = 166. 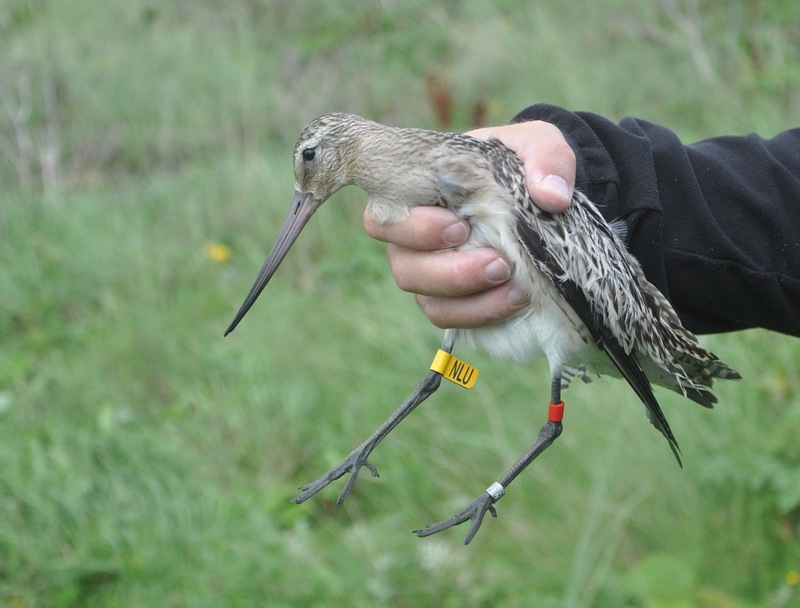 Bar-tailed Godwits on migration in southern Norway are ringed with a yellow flag and a red marker. Observations: YELLOW-BROWED WARBLER 1 in the trapping area around 15.30. Brent Goose flock of 18 at Revtangen. Alf Tore Mjös and Morten Stokke. Two visitors.